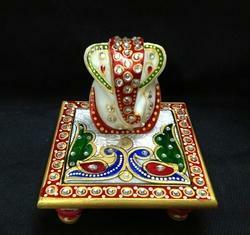 Pioneers in the industry, we offer marble ganesh chowki from India. marble ganesha on chowki is an auspicious gift in a budget pocket . Looking for Marble Handicrafts ?